Your wedding cake is an important part of your wedding reception and meal. A cake done well will be the talk of the evening; skimp on your cake and your guests will feel like they didn’t get the full experience. It seems like a simple task, but finding the right cake for your event takes time and work. 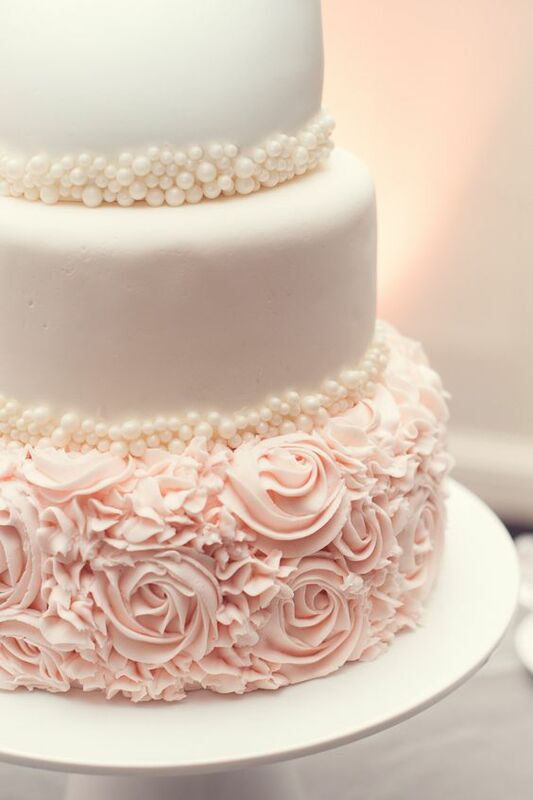 Here are some tips and tricks to make sure you get an amazing wedding cake. Before you jump into buying a cake, make sure that you have an idea about what you want to spend. Cake is usually priced per person. The price may include delivery and set-up costs along with the cost of the cake. On average the price per person for cake will run between $4 and $15 a slice. Just like hiring a florist or caterer, make sure you do your research before you hire a baker. Get referrals from friends, family or your wedding planner. Once you have a few suggestions, take the time to check reviews, research their services and previous work examples. It’s even a good idea to ask each baker for a few references of their past creations. Do the leg work and make sure that you get the best cake for your wedding. Once you’ve decided on a baker, make an appointment to meet with them and get a better understanding of their services. Treat your meeting like an interview and have a list of questions prepared ahead of time. Make sure that you know your budget as well. This is a great time to figure out what works with your budget and what may not. Ask to see additional photos of their product to ensure that what you want, they can do. This can be a tricky task, especially if your wedding is neither modern nor traditional. This is where the internet and bridal magazines can come in handy. Take some time to research cake styles, decorating techniques, cake shapes and colors. Figure out what works best with the theme and feel of your wedding. 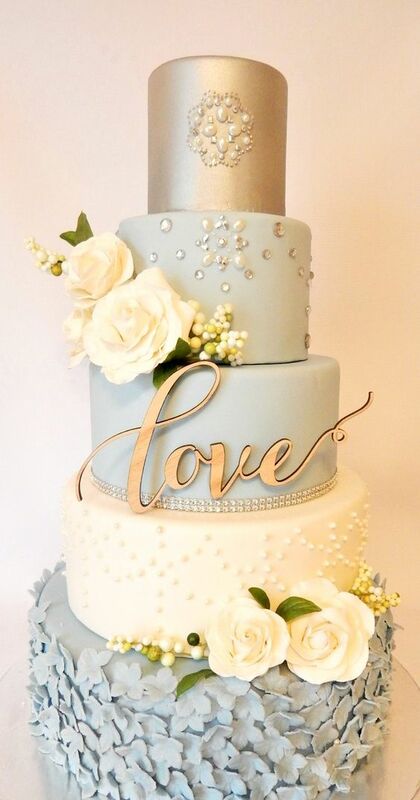 Remember, if you are having a modern wedding, a cake with pillars, filigree, pearls and lots of flowers probably won’t work well with the feel you are trying to go for. Have a good plan and plenty of pictures when you take your plan back to your baker. It will make their job easier, and you are more likely to get the perfect cake. This goes along with deciding a style. There lots of options for cake toppers. Fresh flowers, the traditional bride and groom, bells and doves are all great traditional cake toppers. Modern cakes may have curls of chocolate, fondant flowers, ribbons or fresh flowers. Find an option that works well with the cake style you have decided on, and make sure you give your baker plenty of examples. If you are using fresh flowers, don’t forget to provide contact information for your florist to the baker, so that they can coordinate setting the flowers on the cake at your reception. This is one of the perks of being a bride. Cake tastings are fun, and often you can bring a few members of your wedding party along. Most bakeries have numerous options for cake flavors. They can range from the traditional vanilla and lemon to more exotic flavors like lavender, maple and orange. Once you have decided on the cake flavor, pick a frosting that will compliment your choice. Don’t forget, you don’t have to settle for just one flavor, selecting two flavors will ensure that most of your guests will have something that they enjoy. Once you know what you want, get a contract from your baker. Before you sign, make sure that the contract specifically states cake flavors, cake style, frosting flavors and colors, along with price, delivery location, time and date. If you have questions about details in the contract, make sure that you get clarification and have all of your questions answered before you sign. If everything looks good, sign the contract. Even though you have a contract, make sure that you confirm the details with your baker a couple of weeks before your wedding, just to make sure that there are no questions or problems. Your wedding cake is a centerpiece of your wedding. Take time to research and plan for the perfect cake you’ve always dreamed about. Not sure where to start? Hollywood Banquet Hall’s wedding professionals can help you with all of your wedding planning needs. Visit our website at www.hollywoodbanquethall.com for a complete list of our services.